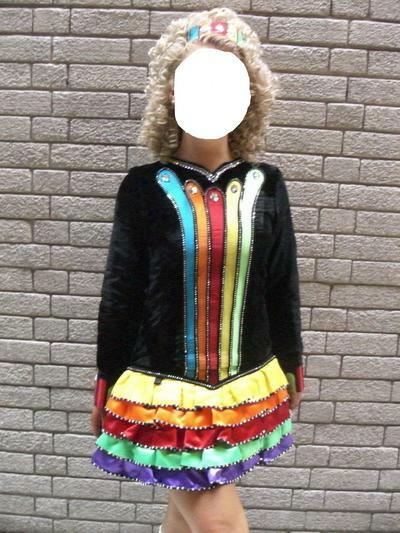 Black velvet dress with rainbow tiered soft skirt. Rainbow bodice, bottom of sleeves and sash all match with the rainbow theme. Covered in hundreds of swarovski crystals including 24 very large oval ones. Selling due to daughter going to University. Some fake tan marks on the inside of the white cotton bodice but no odour and in excellent condition. Asking Price: Â£425. Shipping costs not included. Will accept returns and refund the cost of the dress, buyer to pay all shipping costs.